Gleaned from the UKQRM knowledge-base, we list the miscellaneous radio interference sources we have come across. Transmitter Jamming - some bell-push units feature an extremely poor design. When the button is pushed, the radio transmitter continues to send a signal to ensure the receiver "hears it". If the button becomes stuck, the transmitter can block out other ISM band users in the local area - at least until the battery runs out. Vehicle owners whose vehicle central-locking systems use the same ISM frequencies can find themselves locked out of their vehicle - their keyfob's transmitter simply failing to be heard by the in-vehicle receiver due to the nearby jamming signal. Poor Selectivity - has your doorbell rung, yet when you went to the door, no-one was there? No, it is not a ghost! The receivers used in wireless doorbells (and vehicle central locking systems) are often cheap by design and lack any selectivity of the wanted signal. A neighbour (un)locking their vehicle could easily trigger your doorbell as it thinks the keyfob signal is a wanted signal. And as we see above, the vehicle's receiver can easily be jammed by a sticky bell-push. It gets worse! A strong signal transmitting, say on 431 MHz, could easily swamp the receiver rendering it deaf to the wanted signal on 433 MHz. When the EU allowed 433.92 MHz to be used for Short Range Devices (SRDs) it completely ignored the existing Region 1 Amateur Radio 70 centimetre band allocation. The frequencies from 430 to 440 MHz are allocated on a secondary basis to licensed radio amateurs who are allowed to use up to 40W between 430 and 432MHz and 400W between 432 and 440MHz. This band is shared on a secondary basis for both licensed and licence exempt users, with the primary user being the Ministry of Defence. Those who find themselves unable to unlock their vehicle should check for local errant remote bell-push units whose button may be stuck. You may even be able to elicit the help of a local Radio Amateur to help track the interference source - if they have a 70 cm hand-held radio?! UKQRM members have reported interference issues from some Vaillant boilers. Their control electronics produce interference from 7MHz to 21MHz with a peak centred around 13MHz. Radio Amateur, Andy Summers G4KNO, offers this method which he used to cure his Vaillant boiler interference. Aged thermostats (typically the manual dial variety with a bi-metal sensor) can act as spark-gap transmitter. They are usually connected to the motor (which is an inductive load) of the circulation pump, and the connection and disconnection can create a spark between the switching contacts. 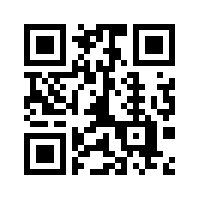 This is likely to be heard on Long Wave and Medium Wave radios as a loud pop/crackle. The noise is intermittent in nature and usually confined to the colder months of the year. Some solar photo-voltaic mains-inverters have been reported as creating interference during daylight hours. Electric fences operate by inverting a low voltage (typically 12 Vdc) to a high voltage (typ. 5000 volts) pulse, which is carried around a wire loop. 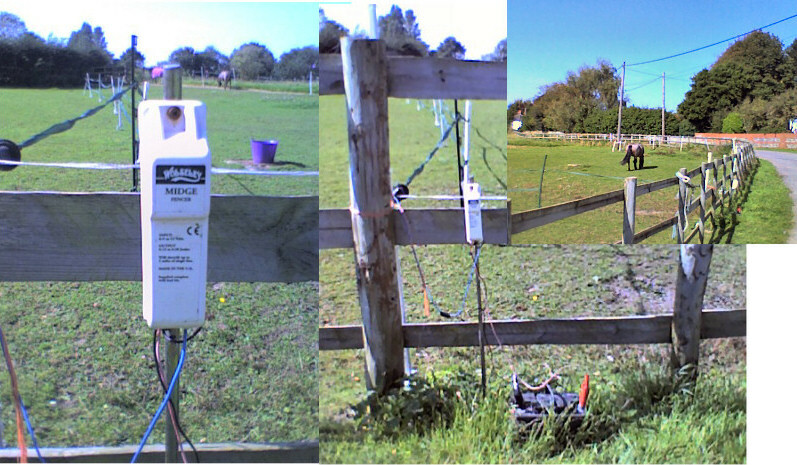 The energy pulse acts as a deterrent to animals pushing through a fence to graze a neighbouring field. Poorly repaired breaks in the fence loop can create arc-over (sparks), which along with the loop (or loops) of wire, creates a very effective transmitter aerial. The interference can be heard across a wide range of radio frequencies (when the fence is operating) and faulty fences have been shown to knock out ADSL connectivity. Further reading on REIN and ADSL. Street lighting that has developed a fault can generate radio interference whilst starting up, or for the entire time it is powered on. The sound recording below is a lamp attempting to start up, followed by continuous noise once running. Failing, or failed insulators on 33 kV or 11 kV power supply poles create a localised REIN which you may pick up on a radio as you pass by, or permanently if you live nearby. The noise may well stop in the rain as the rain-water washes off dust/bird droppings which provide a path to encourage arcing. UK Power Networks will be keen to hear from you if you think an insulator is faulty. Under no circumstances should you hit the pole to test if the noise changes. If the insulator is broken, you could end up with a high-voltage cable hurtling towards your highly conductive body! As with the local power distribution grid detailed above, overhead power transmissions lines used on the railway can also generate REIN from damaged/worn insulators.